It’s no secret that homeschooling curriculum can get expensive. Some programs cost over $1000 per child. I certainly don’t have that much money to spend on curriculum each year, and I bet many of you don’t either. When I was a child, we always went to the used book fair that our local homeschool group put on each year. Usually, the sale was in May, but some groups may have a summer sale. I have yet to go to any sales in Dallas, but I bet with so many homeschoolers around there would be some amazing choices! I really like these fairs because you can evaluate what you are getting before purchase. I dislike selecting curriculum based on the description alone. Timberdoodle doesn’t have as big sales as some of the other companies and resources on this list, but I love them anyway. Timberdoodle always tests all of the products that they sell before listing them on the site, and I feel like their overviews are more helpful and informative than most. Their bundle packages are also helpful for discovering what your child might need in his or her current grade. Last year, I bought most of our stuff from ChristianBook when they were having a summer curriculum sale. Most of their new books average about 30 percent off retail, and you can get an even bigger discount on certain items and during sale time. Sign up for their newsletter or visit the site frequently for the best deals. The Build Your Bundle Sale is new to me this year. From July 21-28, you can choose to select a pre-built bundle based on the age of children that you have (or one just for mom!) or you can choose to build your own bundle. Some items are up to 90% off retail value, and none are less than 60% off retail value! I’m going to be using this service to select some of Monkey’s stuff for the year. You can’t find a whole lot of “official” curriculum at a secondhand book store, but you can find a wealth of information on almost every topic. The last time Monkey and I visited a secondhand book shop, she picked out a fun cooking book and a book about deserts. These books are just as good for education as any official textbook! I also love secondhand books for finding affordable books to purchase. Discount School Supply is a great place to find manipulates, activities, and other hands-on learning supplies for a bit less than you will find them priced elsewhere. It’s similar to items you might find at a standard teacher store, just for a little lest! They are running a Back to School sale right now (and until September!) where you can get an additional 10% off your stock order with code BTS14. 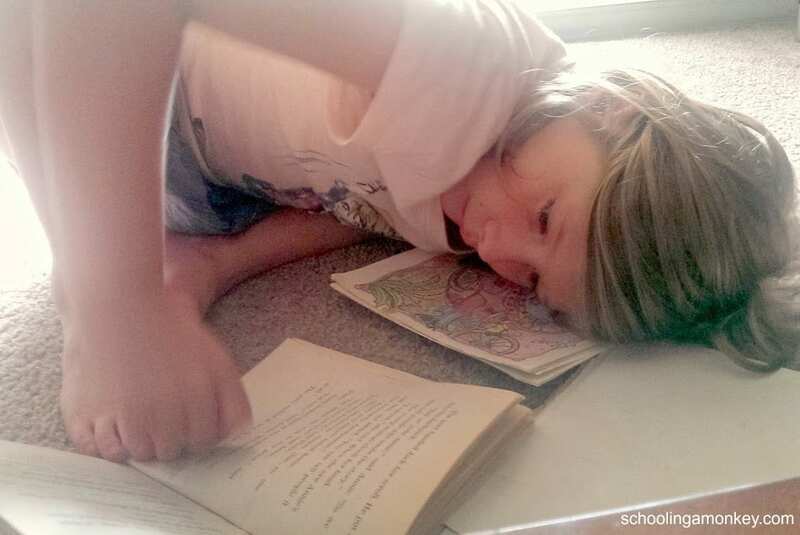 This is how we read our books. Rarely do you study a topic long enough to necessarily need to purchase a book about it. Our library allows renewals on books that have not been reserved, which means we can keep some books for an entire semester or year. The library offers so many books and learning tools for free, that you almost don’t need to purchase any curriculum at all! The nicest thing about the modern library is that you can reserve what you want in advance and just pick it up in 20 seconds! No need to take an entire day to pick up the library books (although visiting the library was one of my favorite activities as a child). eBay can be hit or miss, but it can be a wonderful resource for finding curriculum to fill in gaps from something used you purchased elsewhere. I also like to use eBay to find out-of-print curriculum and books. Watch out for high shipping charges on eBay when shopping for books. The Homeschool Buyers Co-Op is an online co-op where over 100,000 homeschooling families have connected to share curriculum with one another. With so many members, you can be sure to find what you are looking for at a great price! This is also a great place to sell items you no longer need or use. Homeschool Classifieds is sort of the Craigslist for the homeschooling community. There are usually over 30,000 curriculum listings at a time and it is easy to sell or buy directly from the site. It may not be the prettiest site around, but it gets the job done. Rainbow Resource is another excellent site for the purchase of discounted new curriculum. Last year, if we didn’t buy it from Christian Books, we bought it from Rainbow Resource. The Rainbow Resource booth is always one of the most popular at the Arlington Homeschool Convention and Book Fair. 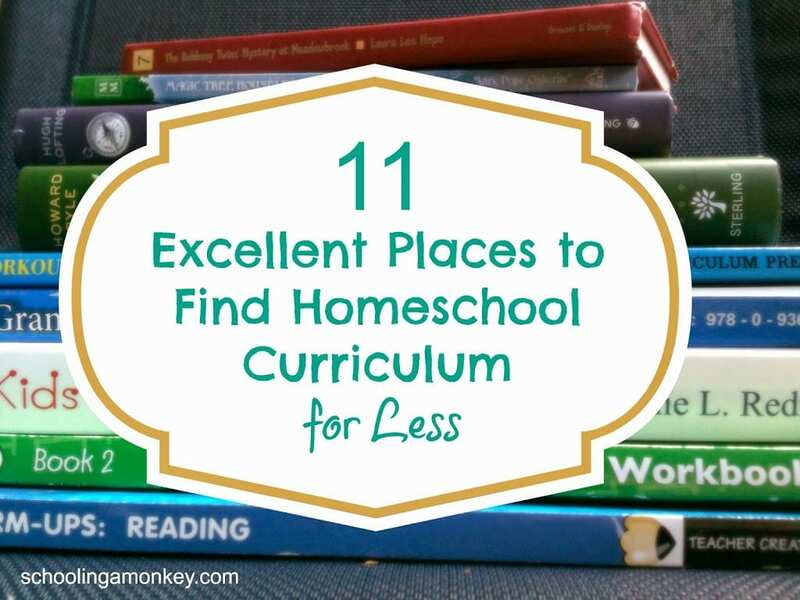 Where are your favorite places to buy curriculum for less?